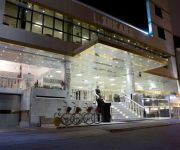 In the name of our whole team, we welcome you cheerfully to the Luxury Hotel Inkari. You can leave your car in one of the many parking spots while you are with us. The public rooms in the hotel all offer WiFi. Take advantage of the garden terrace. Where you will stay Change your room temperature with our easy-to-use air conditioner. Take advantage of our minibar filled with a large selection of beverages while lounging around in front of the cable TV with plenty of entertaining programmes or talking on the phone. Further amenities such as the provided blow dryer will also tend to your needs. Our hotel rooms feature a desk. All our rooms include a strong box, so that the clientele can keep their valued items secure. You will find located in your room a shower, a bathtub and a hairdryer. We would like to cheerfully welcome you to the HOTEL LA POSADA DEL CONDE. 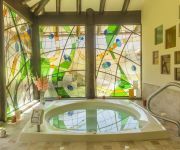 We would like to cordially welcome you to the Villa San Blas. The hotel features plenty of parking spots for its visitors. We provide car parking space at the hotel for your convenience while you stay with us. Make yourself at home Your articles of value will be secure in the safe at reception. During your stay, make use of the laundry service. Where you will stay In all of our hotel rooms we have included an air conditioner. Those staying with us are provided with their own cable television with plenty of entertaining programmes available in each and every room. A properly functioning telephone is included in every single hotel room. Business hours of reception: On business days:	from 00:00 to 00:00 . We would like to cordially welcome you to the Nylamp Wasi. The hotel features ample parking spots for its visitors. Access to the WiFi connection is available from the public areas in the hotel. When staying at our hotel, you are provided with cable TV with plenty of entertaining programmes available in all our rooms. 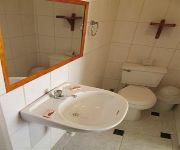 In all the rooms a bathroom equipped with a shower is included. 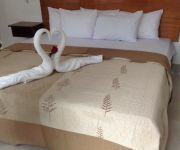 Our whole crew would like to proudly welcome you to the The Point Cusco. The hotel offers plenty of parking spaces for its clientele. Hotel guests can take advantage of our convenient car parking space. Please request when making a booking. Make yourself at home Our qualified staff at reception will be happy to assist you, e.g. by placing your important documents, money or jewellery in the hotel's safety deposit box. During your stay, make use of the laundry service. Business hours of reception: On business days:	from 00:00 to 00:00 . In the name of our entire crew, we welcome you cordially to the Flower's House MachuPicchu. The public rooms in the hotel all offer WiFi. During your stay, make use of the laundry service. Your entertainment is ensured with cable TV in all our charming hotel rooms. The hotel suite's restroom has a shower and a hand-held blow-dryer for drying your hair afterwards. 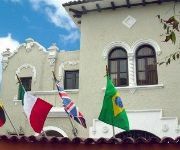 La Morada is located in the heart of the bohemian district San Blas, a 5-minute walk from central Plaza de Armas square. 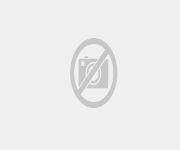 It provides fully-equipped duplex accommodation with city views. A living room area as well as a modern kitchenette with kitchenware, microwave and coffee machine, plus the bathroom are located on the ground floor. The level above features LCD cable TV and DVD player and guests can also find their bedroom here. The day is started with an American breakfast. Drinks and refreshments can be purchased at the snack bar and enjoyed on the sun terrace. 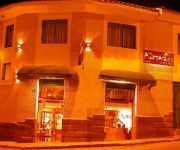 Restaurants and bars are around the corner from Hotel La Morada. Free airport pick-up service is available upon request. 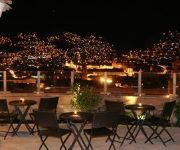 Cusco´s airport is a 10-minute drive from the Hotel Business hours of reception: On business days:	from 00:00 to 00:00 . Our whole crew would like to warmly welcome you to the HOTEL LOS PORTALES PIURA. Ask our talented reception team for details on car hire and feel free to use hotel parking during your stay. To assist you in having a pleasant stay, the hotel offers you the use of our laundry service. Our restaurant and café - bistro will ensure that our clientele will never go hungry. Our entire staff would like to enthusiastically welcome you to the La Casa Nostra Hostel. Beach Hotels are easy to find, but they are not all created equal. 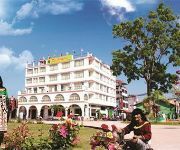 Make the right choice and book a room at this modest hotel to enjoy all of its features and benefits! If you require parking facilities, paid car parking spaces are available on request. Internet (WLAN) is available. Make yourself at home Our reception team is available day and night, we offer a wake-up call service as well as a safe for your valuables. You can lounge about in the hotel's library during your stay. 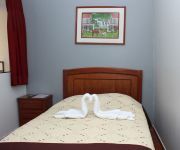 Where you will stay Feel free to use the desk, telephone and high-bitrate internet access provided in your well-appointed room while you are with us. Our rooms are equipped with TVs. In-room entertainment will be provided by a television featuring cable channels. Satellite TVs are available in your hotel room. In your room's bathroom you will find a shower as well as a blow-dryer. If you need to call one of your contacts, you can do so without any worries. The entire hotel including the hotel suites has a great mobile connection. Active guests are invited to use the well-equipped fitness room. In the name of our whole team, we welcome you cordially to the Pirwa Bed & Brekfast Suecia. You can leave your car in one of the many parking spots while you are staying in the hotel. Located at our hotel are car parking spots for the benefit of our guests. WiFi can be found in the hotel's public areas. During your stay, make use of the laundry service. 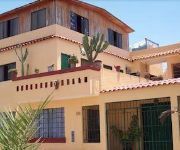 Our whole crew would like to warmly welcome you to the Hostal Las Fresas. Wireless connection to the internet is available in the hotel's public rooms. 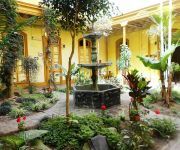 Our whole team would like to enthusiastically welcome you to the Hostal Cusco Home. Wireless connection to the internet is available in the hotel's public rooms. When entering the hotel you will be greeted in the lobby. Don't forget to ask about the cable television set included in all the hotel rooms. The room's bathroom entails a shower and a hand-held hair-dryer for drying your hair afterwards. Our entire staff would like to cheerfully welcome you to the Galaxia. You don't want to leave your pets at home while travelling? No problem with this accommodating hotel - just bring them along! Access to the WiFi connection is available from the public areas in the hotel. Make yourself at home The lobby in the entrance is sure to make a great first impression. The hotel is also equipped with a roof-top garden. To assist you in having a pleasant stay, the hotel offers you the use of our laundry service. You'll find a cable television set in all our hotel rooms. The rooms in our hotel naturally have a bathroom with a shower. Our entire staff would like to cheerfully welcome you to the Amazing Home Hostal. It doesn't matter whether you're staying for one night or more, you will find plenty of parking spots available at the homey hotel. Car parking facilities are located at the hotel for your use. Please specify when making a booking. All of our hotel rooms include a free newspaper delivered day-to-day. Access to the WiFi connection is available from the public areas in the hotel. Make yourself at home The roof's garden is enjoyed by all of our guests. To assist you in having a pleasant stay, the hotel offers you the use of our laundry service. Where you will stay In-room entertainment will be provided by a television set featuring cable channels. Welcome to Gran Hotel! 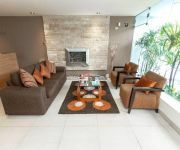 This Lima hotel is a central and friendly hotel, the ideal choice for a budget trip to Lima. It is close to Cathedral of Lima, the Government Palace, Archbishop's Palace, Convent of San Francisco, Plaza Mayor, Mirador de Lima "San Cristobal", National Library and various museums. The Lima Art Museum, National Stadium, Park Reserve and Exposition Park are also within walking distance.This hotel in the historic center of Lima offers reception 24 hours a day along with free Wi-Fi in the lobby and Reception FREE admission pets.Other amenities and services offered by the Gran Hotel include currency exchange, limited free parking inside the hotel, laundry and ironing, microwave in lobby, safe in reception where you can store your essentials.Garden features an entertainment area where you can relax during your stay at the hotel with various games like ping pong, cards and other games.It has two halls with TV for use by all guests.It provides an airport shuttle (round trip). It is 40 minutes away. Our whole staff would like to cheerfully welcome you to the Sm Hotel And Business. It doesn't matter whether you're staying for one night or more, you will find plenty of parking spots available at the cosy hotel. The public rooms in the hotel all offer WiFi. Make yourself at home Within the hotel a lobby is included. You can also enjoy the garden on the roof of the hotel. Where you will stay Our visitors appreciate the minibar filled with a wide-ranging selection of beverages, the easy-to-use air conditioning system and the hand-held hair-dryer that are present in all of our rooms. Your room's desk is ideal if you brought your work back to the hotel. Your entertainment is ensured with cable TV in all our lovely hotel rooms. All of our hotel's rooms are equipped with a strong box. In your suite's bathroom you'll find a shower as well as a hair-dryer. In the name of our entire staff, we welcome you cordially to the Piura El Angolo Hotel Talara. We have many parking spaces available where you can leave you car while you are with us. Wireless connection to the internet is available in the hotel's public rooms. To assist you in having a pleasant stay, the hotel offers you the use of our laundry service. Where you will stay Desks are available in our rooms. Every single guest enjoys having a convenient phone, a minibar stocked with a large amount of beverages as well as a television (cable) that are present in all rooms. The bathrooms in all of our rooms offer a shower. 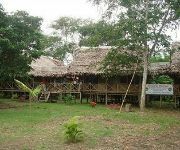 In the name of our entire team, we welcome you warmly to the Amazon King Lodge. We have many parking spots available where you can leave you car while you are with us. Make yourself at home A garden terrace is also provided. During your stay, make use of the laundry service. Where you will stay In our hotel you'll also have a desk in your suite. Amenities, such as a kettle ideal for making coffee in the morning as well as a strong box, are provided in all our rooms. All of our hotel rooms naturally have a restroom with a shower. Once you're finished showering grab your bathroom's hair-dryer to dry your hair quickly. 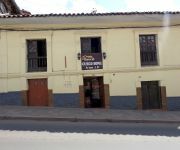 Located 100 metres from the main square and 150 metres from the city centre and commercial area, Andean Dreams Hotel offers free Wi-Fi and Buffet breakfast in Cusco. An on-site regional restaurant is featured. Providing a tranquil environment. 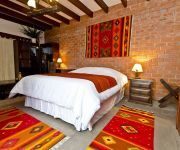 the rooms in Andean Dreams feature private bathrooms and cable TVs. 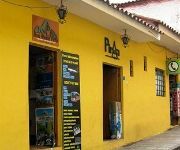 Guests at Andean Dreams Hotel are provided 24-hour front desk assistance and free coca tea is available throughout the day. Laundry services can be arranged upon request. Business hours of reception: On business days:	from 00:00 to 00:00 . Our entire crew would like to cheerfully welcome you to the Sol y Luna Relais & Chateaux. Our hotel features plenty of parking spots for its guests. The public rooms in the hotel all offer WiFi. Make yourself at home The terrace in the garden is definitely a sight to see. Our acclaimed dining room and the convivial hotel bar are both fantastic places to spend a relaxing evening with friends. Where you will stay Your room is equipped with a desk. Articles of value, for instance your jewellery, important documents, laptop or money, can be stored securely thanks to the strong box provided in each room. Each hotel room features a telephone. You will find a bathrobe as well as a hand-held blow-dryer in every single hotel room. Relax or be active We value your wishes and are glad to fulfill them, so please do not hesitate to spend your time in the steam room or sauna. We would like to cordially welcome you to the Hotel Libertador Trujillo. The hotel has plenty of parking spots available. We provide car parking space at the hotel for your convenience while you stay with us. Free for you We offer our guests a daily newspaper free of charge. When booking with us, you will enjoy complimentary parking at the hotel. Access to the WiFi connection is available from the public areas in the hotel. 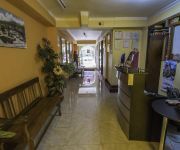 Make yourself at home The our competent staff at the reception of our welcoming hotel will be happy to assist you around the clock during your trip. You can either use the stairs or our lift to reach your well-found room on the upper floors. Our friendly staff will greet you in the lobby. Where you will stay Each guest enjoys having an air conditioner that is present in all our rooms. In-room entertainment will be provided by a television set featuring cable channels. All of the rooms at our hotel feature a pay TV set. Each hotel room features a telephone. Relax or be active The sauna is a refreshing way to spend your free time. Energetic guests can take advantage of the fully equipped fitness room. Business hours of reception: Every day:	from 00:00 to 00:00 . Our whole team would like to gladly welcome you to the Aranwa Pueblito Encantado del Colca. There are ample parking spaces for our hotel guests. Access to the WiFi connection is available from the public areas in the hotel. Where you will stay A minibar filled with a wide-ranging selection of beverages and a safe are provided in each and every room to be used by our clientele. An easy-to-use phone can be found in all of our hotel rooms. Every bathroom has a bathtub for your convenience. In the name of our entire crew, we welcome you cordially to the Casa Suyay. It doesn't matter whether you're staying for one night or more, you will find ample parking spots available at the homey hotel. Wireless connection to the internet is available in the hotel's public rooms. Where you will stay Having a desk in your suite is standard at our hotel. Enjoy in-room entertainment provided by a TV set with cable channels. Use the convenient telephone in your room to touch base with your friends and family. Your suite's restroom features a shower and a hand-held blow-dryer for drying your hair afterwards. 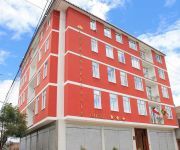 The hostel is conveniently located just 3 short blocks from the main square, our prices include breakfast and have free tea all day, you can access wifi internet throug or a pc at the reception, rooms accounts with private bathroom, hot water and tv with clabe. Business hours of reception: On business days:	from 00:00 to 00:00 . In the name of our whole team, we welcome you enthusiastically to the Antares Mystic Hotel. Every guest appreciates the free newspaper delivered on a daily basis. The public rooms in the hotel all offer WiFi. Make yourself at home The garden on the roof is a great place to spend your free time. To assist you in having a pleasant stay, the hotel offers you the use of our laundry service. Where you will stay While staying with us, our visitors are provided with cable TV for visual and audio entertainment that is found in each and every hotel room. Each hotel room features a telephone. The bathrooms in all of our rooms offer a shower. We would like to cordially welcome you to the Del Castillo Plaza. It doesn't matter whether you're staying for one night or more, you will find lots of parking spaces available at the homey hotel. We provide car parking space at the hotel for your convenience while you stay with us. Make yourself at home The friendly team at the reception will be pleased to put your valuables in the hotel safe for you. The lift to the upper floors makes it easy to reach your comfy room. The hotel offers a laundry service. Where you will stay While staying with us, our guests are provided with an AC that is located in all of our rooms. Enjoy in-room entertainment provided by a television set with cable channels. For some in-room entertainment just switch on the satellite Television set and enjoy your favourite channels. As a courtesy We provide an easy-to-use phone in all our hotel rooms for you to keep in contact with your loved ones. Business hours of reception: On business days:	from 00:00 to 00:00 . 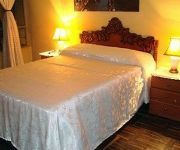 We would like to happily welcome you to the Posada Monterrico. It doesn't matter whether you're staying for one night or more, you will find plenty of parking spaces available at our comfy hotel. Wireless connection to the internet is available in the hotel's public rooms. Make yourself at home Take advantage of the garden terrace. During your stay, make use of the laundry service. Where you will stay Each of the hotel rooms are equipped with a desk. Internet TV is part of the facilities found in your room. All of the hotel guests appreciate the safe in all the rooms. Use the easy-to-use phone in your hotel suite to touch base with your friends and family. For your enjoyment DVD-players are provided in our hotel rooms. In the name of our whole crew, we welcome you gladly to the Hotel Colomba. It doesn't matter whether you're staying for one night or more, you will find plenty of parking spots available at the cushy hotel. WiFi can be found in the hotel's public areas. Make yourself at home We invite you to spend time in the spacious lobby area or the hotel's reading room during your stay. Where you will stay Desks are available in each of the hotel rooms. In-room entertainment will be provided by a TV featuring cable channels. In all the rooms we offer a safe for your money as well as the necessary utensils for preparing coffee. A refrigerator is included in your room. Relax and unwind in the bath in your very own bathroom. In the name of our whole crew, we welcome you happily to the Internazionale Hotel Restaurant. Parking is not a problem at our hotel, we have plenty of parking available for our visitors. Our hotel's wireless internet can be used in the spacious public areas. Where you will stay You will find a hand-held hair-dryer, an air conditioning system and a minibar stocked with mouth-watering goodies in every room. During your entire trip you'll be able to stay in touch with your friends or family since a properly functioning phone is included in all of our rooms.